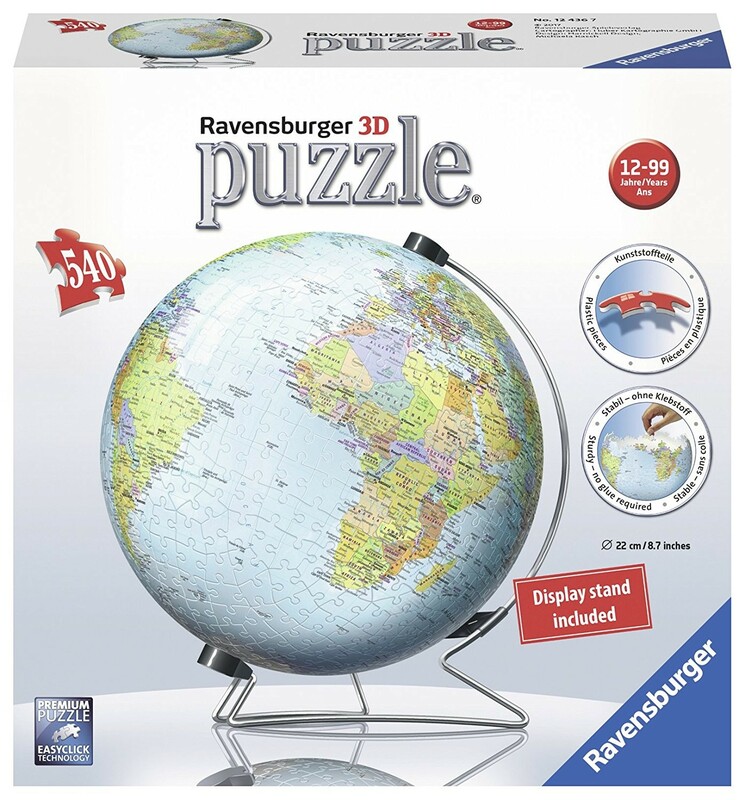 The new version of the Ravensburger's The Earth 3D puzzle is not only an exciting new twist to the average world map puzzle, it is also a great toy to teach geography skills. How would you like to hold the whole world in your hands? Well now you can do more than that. You can build the whole world! 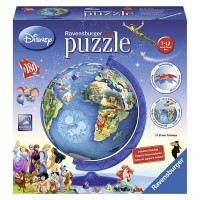 The famous German toy company Ravensburger introduces the updated edition of the bestselling world globe puzzle, The Earth. 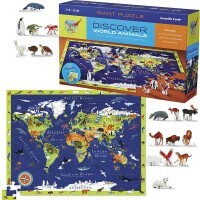 This new type of jigsaw puzzle allows you to build a 3D spherical globe (9 inches diameter) by connecting curved, sturdy plastic pieces. 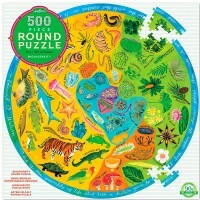 The 540 jigsaw pieces don't even need glue to fit snuggly together! 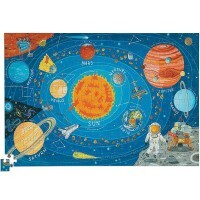 Each piece is conveniently numbered on its underside as well. 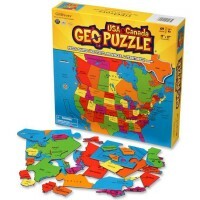 The Earth 540 pc World Globe 3D Puzzle with Rotation Stand is not only an exciting new twist to the average puzzle, it is also a great toy to teach geography skills. 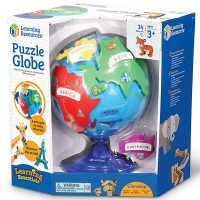 As you piece together this colorful globe, you will notice each country, major city, and body of water are also labeled. When you have completed your mini masterpiece proudly display it on its plastic base stand. 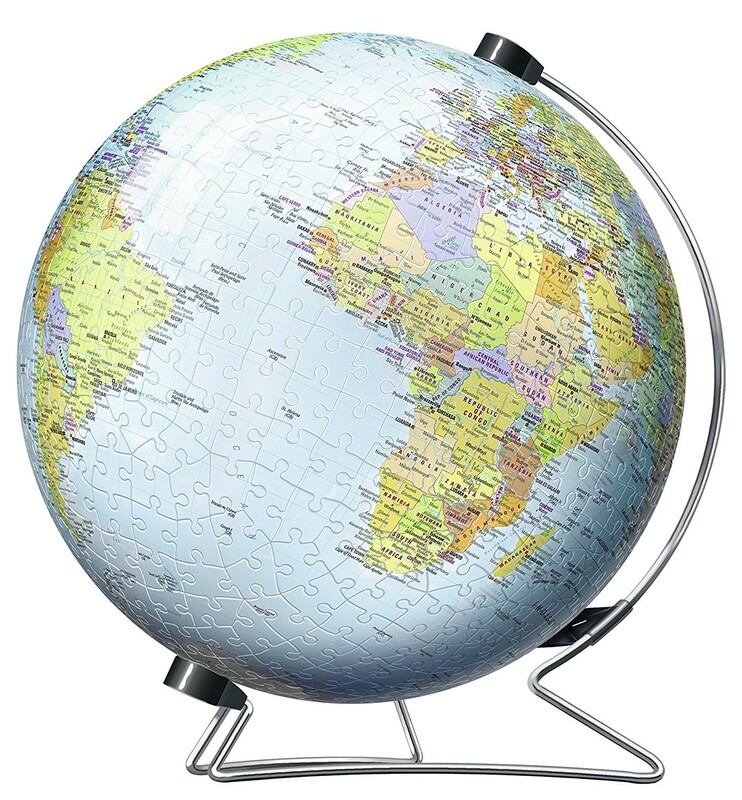 Or, for easy 360 degree viewing, place your globe on the included metal rotation stand. 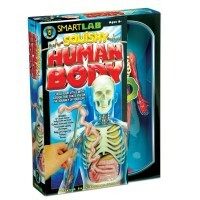 This new puzzle toy sensation has already become very popular in Europe. 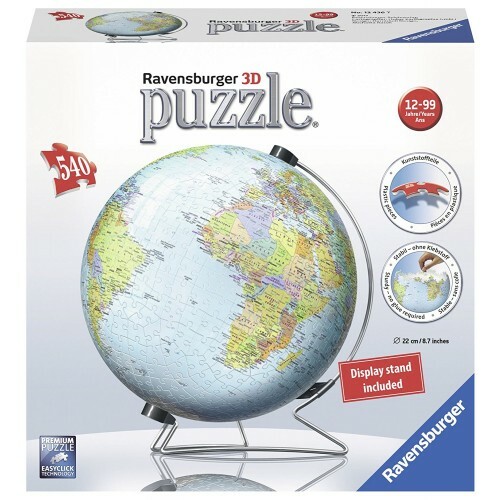 Let your mind enter new dimensions and become a fan of Ravensburger's 3D puzzle! 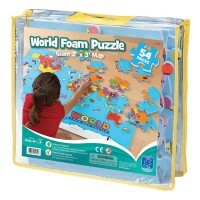 Write your own review of The Earth 540 pc World Globe 3D Puzzle with Rotation Stand. 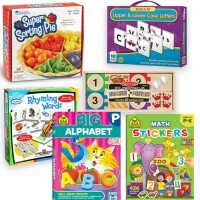 Rating: 5 by Paul, NY It's a wonderful idea to make a puzzle 3D. My daughter loves it. We do it together, or she does it alone (she's 10 years old). It looks awesome! 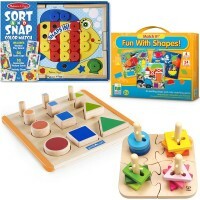 And is such a good learning puzzle!